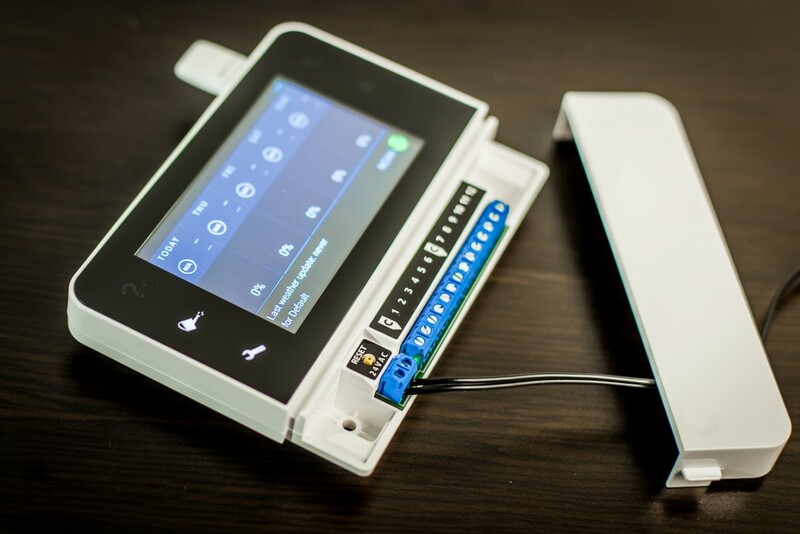 The Internet of Things and smart device interconnectivity has sparked the development of innovative products that can do some truly incredible things. Controlling your devices via mobile app is really just scratching the surface of what’s possible: the bigger draw for me is the utility that comes with web-based functionality and actual solution-based development. 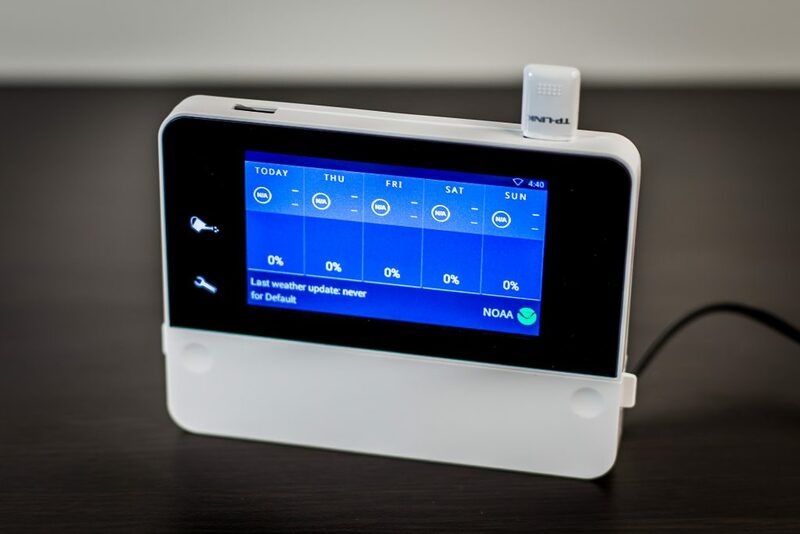 RainMachine joins the ranks of devices with the likes of Nest and Ecobee, devices plugged into the smart home ecosystem that can gather and analyze real-time data about the world around us and adapt accordingly. 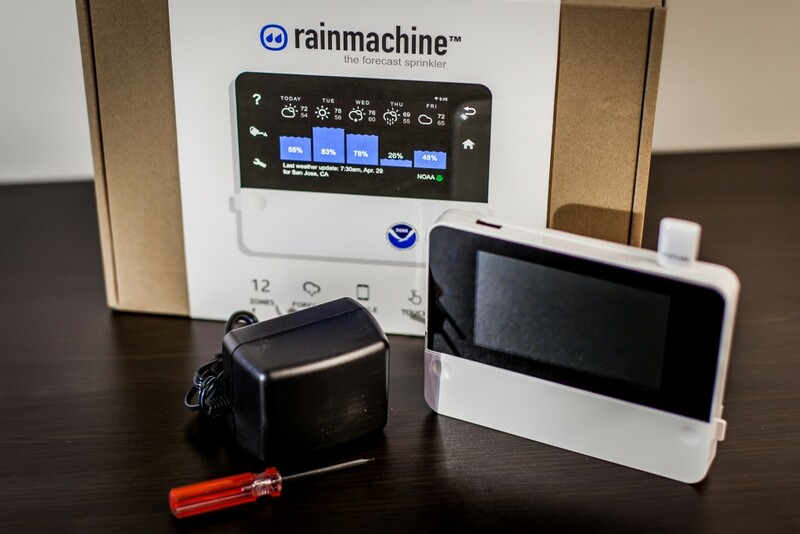 RainMachine aggregates weather data for a targeted area, takes into account soil absorption levels, and adjusts sprinkler activity to maximize water efficiency. Yes, it is true that as devices are enabled for internet connectivity, they are opened up to potential attack from hackers. Here’s a tip: for any automation product that comes with a default password, especially those emitting a signal, change it. Many people just leave the default password in place, and the information can often be found by anyone online. It isn’t just the app, which RainMachine does of course have. The intelligence comes from the ability to tap into the local weather forecast and adjust the watering accordingly. This is critical for us in Southern California in the midst of a severe drought, with watering restrictions and unreliable rainfall. The controller taps into the National Oceanic & Atmospheric Administration (NOAA) database for a specific, location-based forecast that updates regularly to account for changes in weather. I tested out the 12-zone model (currently $219 + free shipping) , which comes with a 6.5” touchscreen display (as does the 16-zone model; the 8-zone [currently $129 + free shipping] doesn’t have one). The set up was simple; plug it in, connect it to the wireless network, input your location, and set the watering schedule. It has additional adjustments to account for how much water actually gets to the grass roots, which fine-tunes the device for different soil types. One thing I did not care for was the login and password out of the box were just “admin.” With home automation devices security is always an issue, and it would be easy enough for a randomly-generated password per device to be used instead of a universal one. RainMachine claims, like most “green” products out there, that they can earn your money back in a couple years thanks to energy-savings. That would really depend on how many zones you have, your region, base programming, and more, and I didn’t have this hooked up long enough to map out the cost effectiveness for the long-term. However I will say that the features worked exactly as advertised, and the practical functionality is very impressive. I can attest to the functioning weather adaptation, as my normal schedule was automatically delayed due to a rain storm. I really liked this feature, because on my traditional sprinkler controller I would need to remember to run out to the garage and hit the manual rain delay button in the event of precipitation. Now that isn’t a huge inconvenience, but definitely is not an accurate way to optimize water use. The dashboard also displays the percentage of daily water allotment that will be used, weather data, and water savings for up to a year. 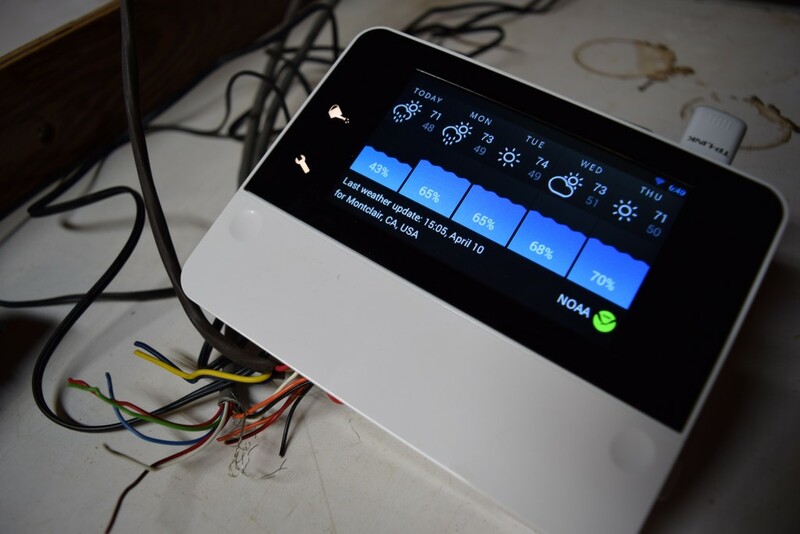 Drilling down a little more into the intelligent nature of the controller, the unit maximizes the water efficiency based on both the current and future weather conditions, adjusting the use accordingly. So for example if it rains on a Tuesday morning, and your normal program is set to go off on Wednesday night you may not need the full watering session. RainMachine automatically calculates the evapotranspiration (evaporation + transpiration) based on the database and soil settings to determine the adequate amount of water needed, without producing unnecessary runoff or under-watering. I will saw that many home automation products on the market today are really addressing more of a convenient want than an essential need. I feel that there are a select few devices that are actually solving a problem, or using intelligent capabilities beyond an app. The RainMachine controller is one of those few. To me, this device provides value far beyond simple convenience and a trendy app. Experts estimate that up to 50% of the water used outdoors by American households is wasted, due to inefficient methods and irrigation systems. If adaptive technology can cut down on this, and use real data to save water, I am all for it. RainMachine addresses an issue especially close to home for me, being in a region where the summers keep getting hotter and drier, with water restrictions season after season. If you have a small lawn, or live in a region with plenty of year-round rainfall, then this may not be entirely necessary. Otherwise, this is one of those devices that pairs the convenience of everyday simplicity and a solution to a practical problem. Previous PostHang out with Newegg at PAX East 2016! Great idea , but the days you are allowed to water are set by the city , so in those cases all you can do is either water longer , more often or less on those preset days. In Cities (like Los Angles) where we can only water on two preset days a week, can this system be set to those days and either water more/less on those days and stay off for the rest ?, otherwise the cost of the unit will be shadowed by the city FINE for watering on a days when not allowed…. Yeah, you can set hard restrictions on select hours, days, and even months if you need to. The device will stay off for restricted times, so you won’t conflict with the city or county restrictions. As long as it’s in a weather-proof box it’ll be fine. Just keep it dry! Does this unit (12 Zone model) have a “Pump Start” output ? I can’t tell by looking at the pictures and it’s NOT listed in the specs.